George Bush Center for Intelligence, Langley, Fairfax County, Virginia, U.S. Under current law, the Deputy Director is appointed by the President and is not required to be confirmed by the United States Senate. This position is currently held by Vaughn Bishop since August 1, 2018. The first DD/CIA was Kingman Douglass, appointed by the Director of Central Intelligence in 1946. In April 1953, Congress amended the National Security Act of 1947 to allow the President of the United States to appoint the DDCI (with U.S. Senate confirmation). The amendment stipulated that the Director and Deputy Director positions could not be simultaneously filled by military officers. 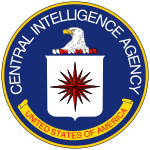 Hereafter the "Deputy Director of Central Intelligence" position was replaced by Deputy Director of the Central Intelligence Agency and the Principal Deputy Director of National Intelligence. In the novel The Hunt for Red October, the character Vice Admiral James Greer is the fictional Deputy Director of the CIA. In the animated sitcom American Dad!, the character Avery Bullock is the fictional Deputy Director of the CIA. ^ "President Trump Announces Intent To Appoint Veteran Agency Officer Vaughn F. Bishop as CIA Deputy Director — Central Intelligence Agency". August 1, 2018. Retrieved August 6, 2018. This page was last edited on 18 February 2019, at 02:03 (UTC).